Synnika Lofton and Randolph Harmon, a.k.a. 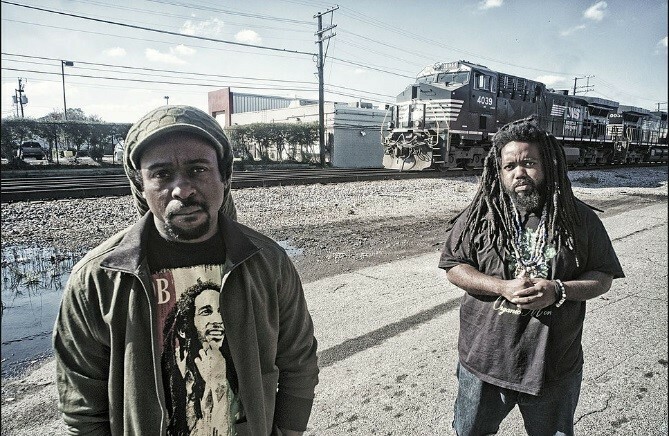 Babatunde, make up the duo Black Lion Insurgents, an indie hip hop group from Chesapeake, Virginia. Their sound is militant, aggressive, and conscious; it also has elements of traditional hip hop. Listeners will find Babatunde on the verses and Synnika Lofton on the spoken word poetry and hooks. Their debut EP, Make War in the Temple (2016), is a gritty, aggressive, and intellectual contribution to indie hip hop. It was released by Guerrilla Ignition Recordings. Their album “10/2/1800” was released in October, 2019. The two members are concerned with issues of race, culture, injustice, and gender discrimination, as well as with the abuse of power by the government.